Relson, the second oldest son of Helio Gracie, won his first tournament at the age of 10 and received his black belt from the Grand Master at 18 years of age. After receiving his black belt, he spent several years training and teaching at the Gracie Academy in Rio De Janeiro. Relson participated in several no-holds-barred challenge matches to uphold the family name (viewable on Gracie Jiu-Jitsu In Action Volume 1), and during this time, he became particularly well known for his aggressive fighting style. In 1975, at the age of 22, Relson, with the support of Rio's Secretary of Sport Jose Morais, started teaching at the academy at the late Clube Jardim Guanabara (ICJG). 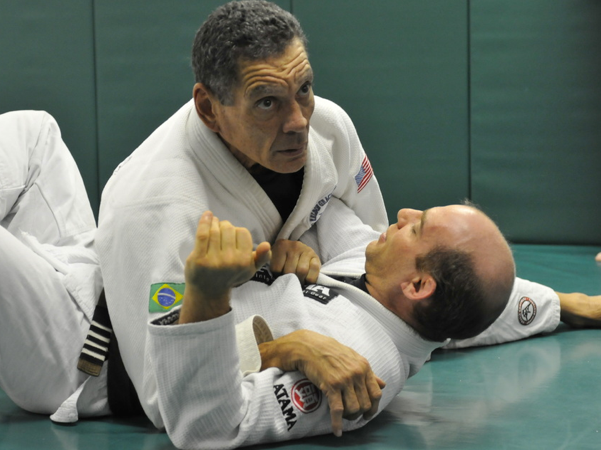 In addition to teaching Tuesday and Thursday evening classes at the already well established Academia Gracie Humaita, Relson taught at ICJG on Monday, Wednesday, and Friday nights. The academy would develop students and Relson and Rickson would show their dominance in the black belt division in tournaments. In 1985, he moved from Rio de Janeiro to Monterey, California at the request of Pedro Sauer's brother, Carlos, who arranged for him to teach at the Eseline Therapy Institute. From there, he set his sights on spreading his family's art to Hawaii and moved to Honolulu where the art was completely unknown. Relson taught out of his garage in the evenings after a hard day's work in the construction industry. Soon the word got out on the island about the effectiveness and benefits of Jiu-Jitsu, and in the same year he expanded his classes to Studio 4, in the Athletic Complex of theUniversity of Hawaii at Manoa, to meet the demand. Finally, after being on the islands for 8 years, the official Relson Gracie Academy was opened in Honolulu, Hawaii. It was located on Waialae Avenue until 2000 at which point it was moved to its current location at 844 Queen Street. In 2004, Relson turned over the daily operations of his Academy to one of his black belt instructors so that he could spend more time traveling to his growing network of associated schools throughout the country.